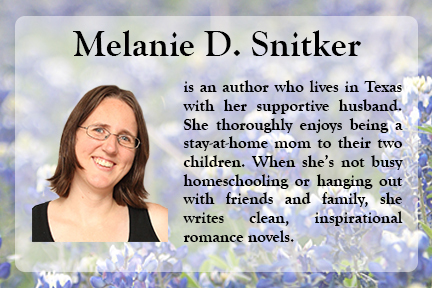 Melanie Snitker stopped by to share her Path to Publication story. Enjoy! I want to send a big thank you to Christi for giving me the opportunity to share my path to publication. When I was a child, there were three things I yearned for: I wanted to be a stay at home mom to my kids when I grew up, I wanted to write and see what I wrote published, and I wanted to be a marine biologist and swim with the sharks. Since I was too young to SCUBA dive, I had to settle for checking out every book I on sharks that I could find at the library. Meanwhile, I created episodes of Chip N Dale Rescue Rangers, using images from coloring books to illustrate my stories. Later, I wrote scripts for episodes of Star Trek: The Next Generation and Star Trek: Deep Space Nine. I submitted both of them — on pages created with a typewriter. Of course they were returned, but there was the excitement of knowing that someone there had held my manuscripts in their hands. I wrote a lot through my childhood. I created a science fiction world and wrote my first novel (approximately 70,000 words) by the time I finished high school. At that time, I wrote everything in notebooks and I still have most of them. I sent stories out to a lot of different magazines and kept every single rejection letter I got. Eventually, I did get one short story published in a tiny little magazine. I doubt more than five people read it, but it encouraged me to keep going. When I started college, my writing fell to the background. I took one creative writing course, but most of my time was spent working through classes to obtain my BS in life science with a focus on marine biology. I even got the opportunity to take SCUBA diving lessons. Diving off the Oregon coast was amazing, but it made me realize something — swimming with the sharks wasn’t going to be for me. I enjoyed everything related to marine biology and I still feel a pull to the ocean and its creatures, even if I don’t feel the need to dive with them anymore. I married my best friend at the end of our senior year of college. After we graduated, I wrote off and on for nine months before I started working for a local newspaper. I met a lot of wonderful people there and enjoyed the work. But I knew it wasn’t what I wanted to do for the rest of my life. I wrote here and there, saving all of my partial stories and ideas as I went. When our first child was born, I quit my job and became the stay at home mom I’d always wanted to be. It was a dream come true and while life was hectic at times, I loved the time with our son. I don’t think I did any writing that first couple of years or so, even though there were times ideas would go through my head. Some I jotted down. We welcomed our second child when our son was five. Throughout this time, my husband continued to encourage me to write and would often remind me to do so. I never really felt like I had much time. I would go through spurts where I would write regularly for a week or two and then something would change and I wouldn’t write for months again. When our daughter was two, I finally began writing more and I realized just how much I missed it. Not only that, but it served as a creative outlet that I desperately needed. At the beginning of 2014, I decided to make the commitment to finish one of my many storylines. I knew several people who published independently and my husband encouraged me to look into the details more and go that route myself. I ran into an online group that seemed like the perfect fit and I joined them. This amazing group of authors all wrote clean books like I did and were on the independent publishing journey. They helped keep me going when I wanted to give up and they offered a lot of advice. Most of all, seeing their stories and what they were going through reminded me not to give up. 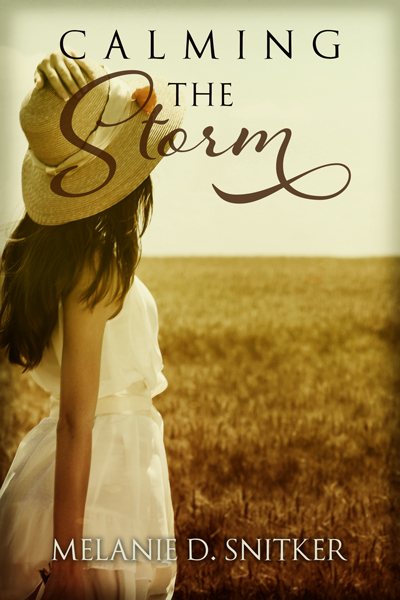 I published my first book, Calming the Storm, in August 2014. This was a book that had been on my heart since college. I had written several different versions of the beginning, it had gone through many different title changes. But it had always remained unfinished. The day I got the last of that book on paper was the day I finally felt like I could do this. I just published my third book and I’m nearly halfway through writing my fourth. This latest book I’m writing is a story line that I had jotted down years ago and has been waiting for its turn to be finished and polished up. For me, writing has been such a roller coaster of a journey. One of the biggest sources of discouragement as I have gone through this life-long process is when I would read that a writer needs to write a certain number of words every day. There were many times in my life where that just wasn’t feasible and it made me feel like I wasn’t a “real” writer. If there’s one thing I’ve learned and that I like to share with other struggling writers, it’s that you write when you get the chance to do so. It might be a paragraph, it might be a chapter. But you’ll be glad you did. Those ideas and bits of story will eventually find their way to where they belong — just like we as writers will as well. 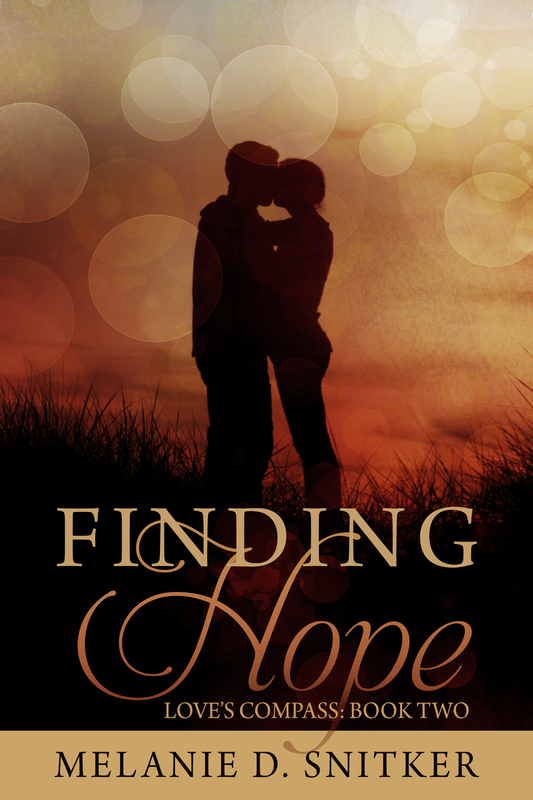 Finding Hope is the second book in the Love’s Compass series. 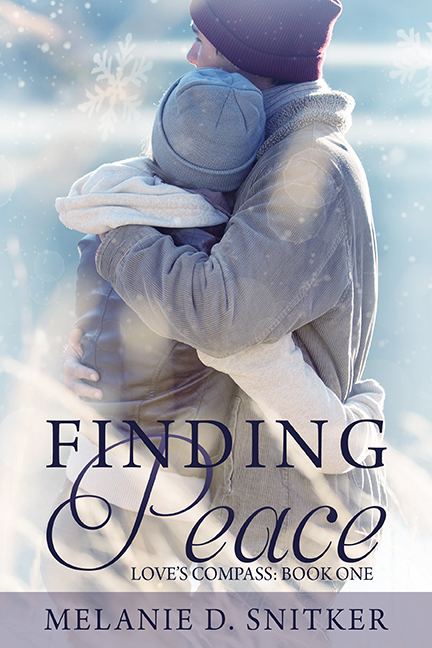 This entry was posted in Writing and tagged Calming the Storm, Finding Hope, Finding Peace, Love's Compass series, Melanie Snitker, path to publication, Writing by christicorbett. Bookmark the permalink. Thank you so much for the opportunity to share my publication story on your blog! Melainie … I love your story because the actual path to publication is your life’s path. One could say you pulled off the road and visited other places, but you never lost site of your final destination. The best part about your path is that it keeps moving to another destination … another wonderful story 🙂 Keep moving.